Ragnar Klavan has been more than solid since his £4.2m arrival from Augsburg in the summer. The Estonian, in his thirties with over 100 international caps, has been excellent all in all, only struggling verses Burnley when in truth, his team-mates were just as bad. With Dejan Lovren injured, it looks as though he’ll be making his home debut versus Manchester United after the break, too. Klavan has been discussing life in England and the difference in officiating between the Bundesliga, where he played for four years, and the Premier League. 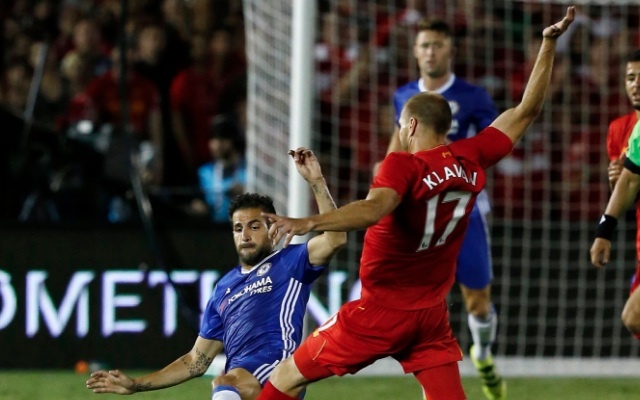 “It’s kind of more aggressive, a little bit more is allowed by the referees,” Klavan told the club’s official website. He’s not a household name, but Klavan fills us with confidence, quietly. Klopp has consistently sung his praises and rates him highly, meaning we probably should too. The defender is comfortable with the ball at his feet and has an incisive left-footed pass, something which helps us build attacks from the back. He’ll have his toughest test to date against Zlatan Ibrahimovic and the like, but it would fantastic if he could help Liverpool register our first clean-sheet of the season.